On Thursday, the House passed a fiercely-debated bill that bars states from requiring labels on food products that contain genetically modified organisms. 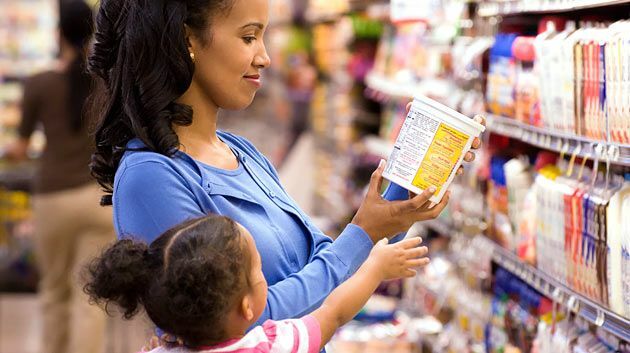 The bill, called the Safe and Accurate Food Labeling Act of 2015, passed the lower chamber strongly at 275-150. Forty five Democrats voted in favor. It creates a new federal standard for manufacturers to voluntarily indicate that their product contains GMO ingredients. Passage in the House is a major loss for opponents, including organic food producers, consumer health organizations, and environmental groups. It is also a major victory for the food and ag companies that lobbied heavily in favor of the legislation. Debate was fierce before the vote, with proponents of the bill loudly stating that GMOs are undeniably safe. They claimed that mandatory labeling, legislated on a state-by-state basis, would unnecessarily burden the food industry with expensive compliance measures. Opponents, who have dubbed the bill DARK–Deny Americans the Right to Know–counter that consumers have a right to know if their food contains GMO products, at least 64 other nations mandate labels on GMO foods, and that the science has not returned unequivocal safety information. What’s more, they argue, the bill also prevents FDA from constructing a nationwide program of GMO labeling. The bill is expected to meet resistance in the Senate. Were it to pass, it is not clear how it might impact the the Obama administration’s plans, announced last month, to bolster an already-patchy GMO regulatory mechanism. The Grocery Manufacturers Association, and industry trade group that represents more than 300 companies, was a major contributor to the bill’s drafting and promotion. Yesterday, the GMA called on the House in a press release to pass the bill. Among concerns surrounding GMO food products and crops, the camp that wants mandatory labeling points to the angst around the broad-spectrum herbicide glyphosate. Glyphosate, manufactured by Monsanto and also known as RoundUp, is commonly used on GMO food crops. Residues and traces of the pesticide have been found on market-ready foods and the WHO has linked it to cancer in humans.